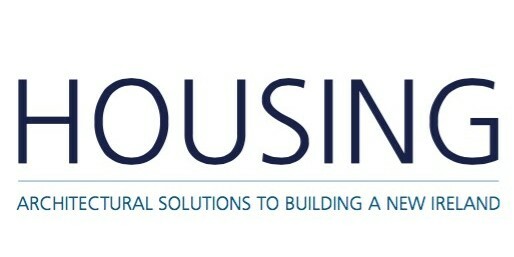 While inner city housing and retail accommodation is normally associated with investor-supplied units for rent, the Living City Initiative strongly encourages owner-occupiers units by promoting regeneration of residential and commercial buildings in designated areas through very generous tax reliefs. Celtic Tiger tax incentives were rarely targeted at community friendly owner-occupiers and mostly facilitated absentee landlord investors with little or no commitment to the buildings or communities they invested in. The scheme is expected to generate demand for residential properties built before 1915 and all commercial properties in certain “special regeneration areas” (SRAs) in the centers of Dublin, Cork, Limerick, Galway, Waterford and Kilkenny. Originally piloted in Limerick and Waterford in 2013, the extension of the scheme to six cities was announced on May 5th 2015. While the relief applies to the first and only owner occupant, the scheme interestingly allows for a builder or developer to first acquire a property, undertake the refurbishment or conversion works and then sell the completed project to an owner-occupier who can then claim the relief on a percentage of the purchase price that matches the developer/builder’s cost of works over the total cost of the works and building purchase. This arrangement might be more suitable for owners reliant on mortgage loans who might otherwise find it difficult to finance the purchase of a property and fund the works. The commercial element of the initiative provides for capital allowances over a seven-year period in respect of qualifying expenditure incurred on the refurbishment or conversion of a property in the designated areas for retailing or for the provision of services within the State and is not subject to the pre 1915 restriction of the residential scheme. The amount of tax relief available under the commercial element is effectively capped at €200,000 for any individual project, with 15% allowable over the first six years and 10% in year seven. Relief is limited to each project, irrespective of the amount of investors. An investor can invest in more than one project. Qualifying expenditure per project for individuals is €400,000 and companies is €1.6m or for a combination of both, an adjusted figure between these limits. The relief applies to refurbishment or conversion works but not to any new build works and the scheme is proposed to run for 5 years till 2020 by which time all qualifying expenditure must have occurred. New works will be allowable but the value of the works will not be relevant when assessing applicable relief. The value of allowable works can include built in furniture, professional design fees and some local authority fees. A letter of Certification must be obtained from the relevant council prior to commencement of works to qualify for the relief. These areas have been designated for the purposes of the scheme by Order of the Minister for Finance. The maps and boundaries of these SRAs can be found on the websites of the respective local authorities. There is a dedicated webpage for the scheme on the Department of Finance website which can be found here. This includes links at the bottom of the webpage to maps of the SRA’s of the six local authorities involved. There is also a FAQ on the Revenue website which can be found here. This commentary does not constitute professional advice and readers are strongly advised to seek the advice of suitably competent professionals in assessing the suitability and application of The Living City Initiative to their particular project. The tax implications of each project will depend on individual circumstances of the investors. EDEN architects accepts no responsibility for any errors or omissions the commentary might contain.